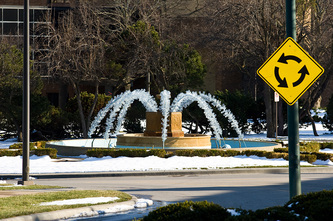 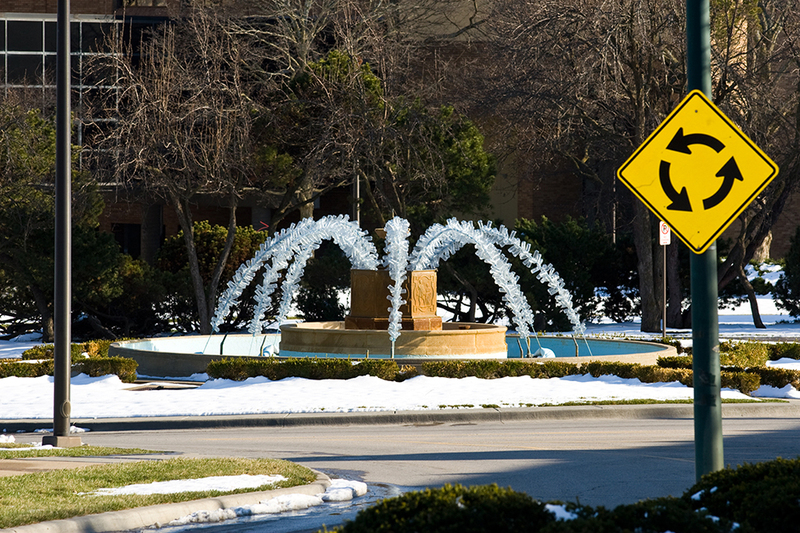 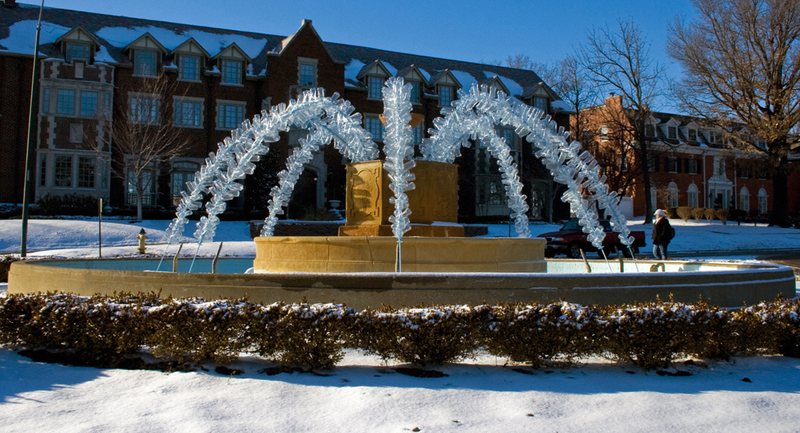 Frozen Assets was originally installed on the night of December 15, 2008 at the Chi Omega memorial fountain on the campus of the University of Kansas, Lawrence. 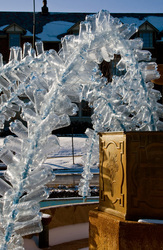 The piece was so well received that Matthew was invited to re-install Frozen Assets in December of 2009. 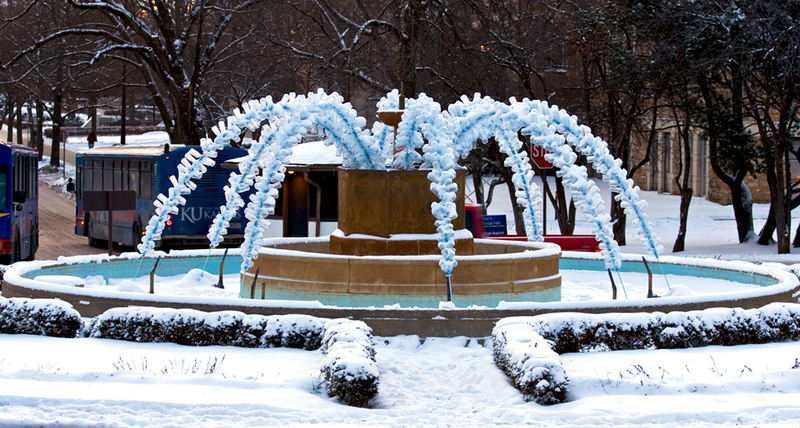 From a distance, the illusion of frozen water is convincing. Upon closer inspection, the empty water bottles, collected in less than a week by the staff of the University Environmental Stewardship Program, reveal themselves. Similarly, this sculpture can be appreciated on multiple levels, from its shear beauty to a more examined appreciation of the artist’s investigation into the connection between the ways in which we view and use water in our everyday lives. 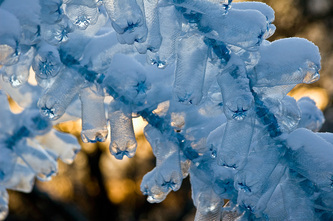 Frozen Assets has drawn further attention to already mounting concerns about the environmental impact of the bottled water industry. Matthew’s installation remained on display both winters until mid March.